Nate's Nonsense: Who is buried in Jim Thorpe, Pennsylvania? 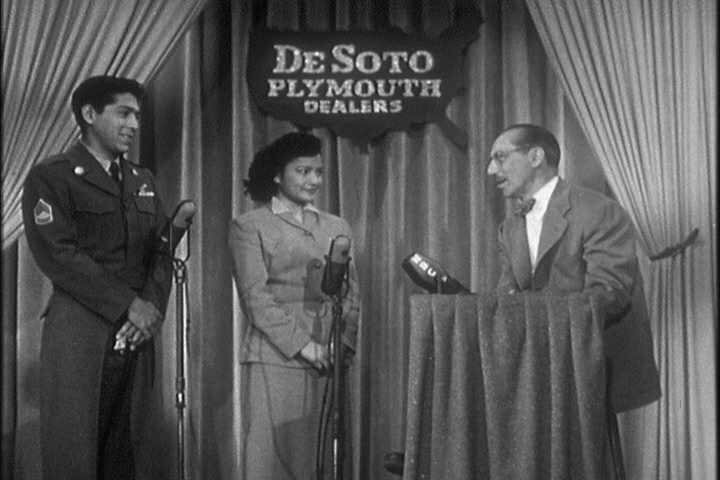 Back in the 1950s, there was a game show hosted by Groucho Marx called You Bet Your Life. where contestants would earn money by answering questions. If a contestant did really poorly, Groucho would ask them an easy consolation question like the famous "Who is buried in Grant's Tomb," so that the contestant would go home with at least a little money. Interestingly enough, when Grant died, there was a little controversy over where his remains should be placed. Many in the public wanted his body to be placed in Washington, but Grant's widow wanted them to remain in New York City where they had been living. 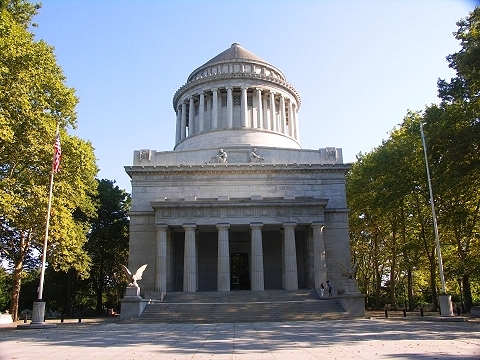 Julia Grant would not budge and a grand mausoleum was constructed in New York with fervent support from State officials. Jim Thorpe's widow had the opposite problem. When the great olympian (winner of the gold medal in both the pentathlon and decathlon at the 1912 Olympics) died in 1956, the State of Oklahoma was not quick to erect a monument to their native son, so Thorpe's widow cut a deal with some publicity seeking Pennsylvanians. 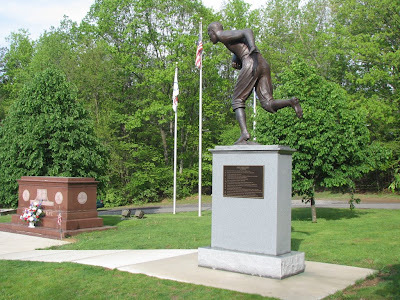 In exchange for changing their name to Jim Thorpe, Pennsylvania, and building a monument to Thorpe, the towns of Mauch Chunk and East Mauch Chunk, would receive the remains of the athlete. So today, Jim Thorpe, now rests in a town that he never visited during his life, but one that bears his name. His tomb is surrounded by a statue commemorating his football skill and a modern art sculpture titled, "Spirit of Thunder and Lightning," as well as several plaques commemorating his life and accomplishments. Thorpe's remains are interred above soil from Oklahoma and the Olympic Stadium in Stockholm (site of the 1912 Olympics). Interestingly enough, last year, Thorpe's son, Jack Thorpe, sued Jim Thorpe, Pennsylvania, to have his father's remains reinterred in Oklahoma. Jim Thorpe was sent away to Indian School to become "civilized" at Carlisle, Pennsylvania. Was the area that became Jim Thorpe, Pa perhaps associated with that school? So, as fart as I can tell Jim Thorpe is still buried in Jim Thorpe, PA..
Mauch Chunk probably just wanted a good reason to change the name of their town! The town Jim Thorpe looks beautiful. Mary, Jim Thorpe, Pennsylvania is a little over 100 miles from Carlisle, but yes, he spent time there too. DADD, for now Thorpe is still in Jim Thorpe. Jules, I agree, if I were a town like Mauch Chunk, I'd be looking for an updated name. Virgil, I do like old time radio. There was an AM station that used to replay all of those and I used to listen to the shows in the evenings when I was in junior high. I think Jack Benny was my favorite, rather appropriate right now as I'm actually "39 and holding." I turn 40 later this month.